Kelp forest before (left) and after (right) the marine heatwave. 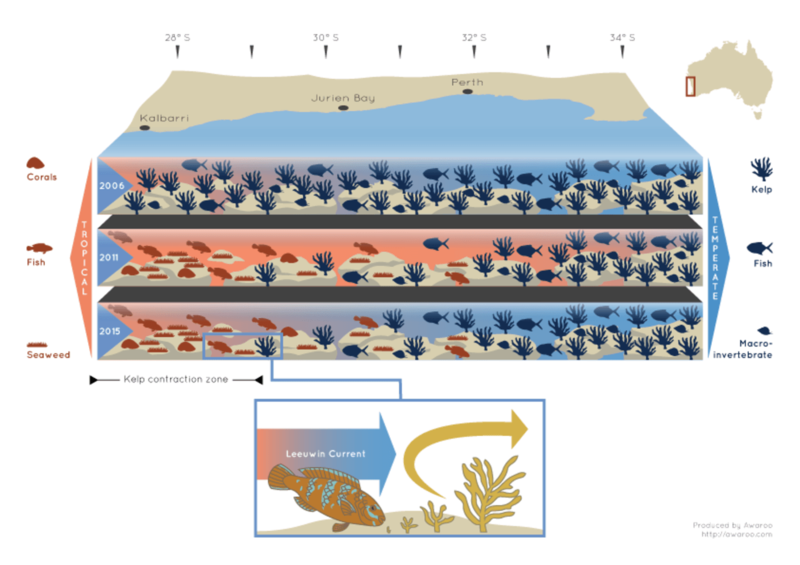 Infographic illustrating the impacts of the heatwave, kelp loss and tropicalisation of temperate reefs. 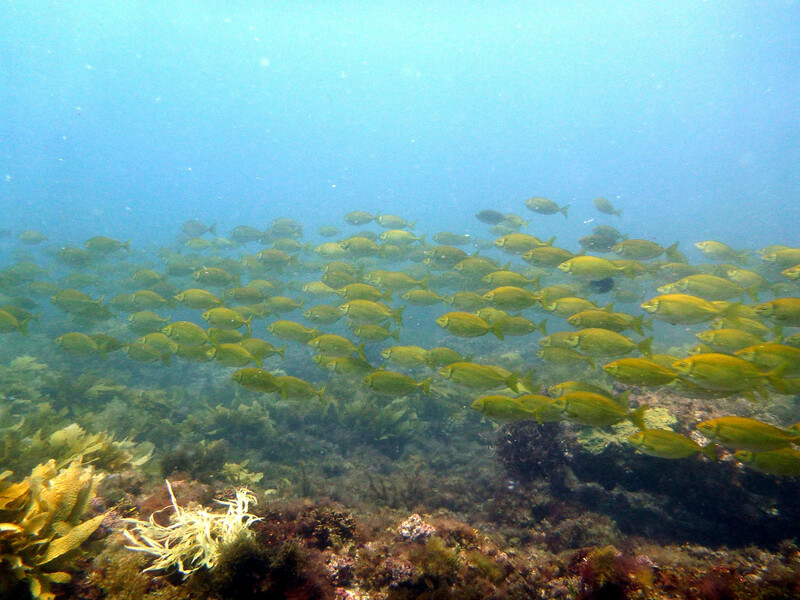 A school of tropical rabbitfish moves through the affected area.